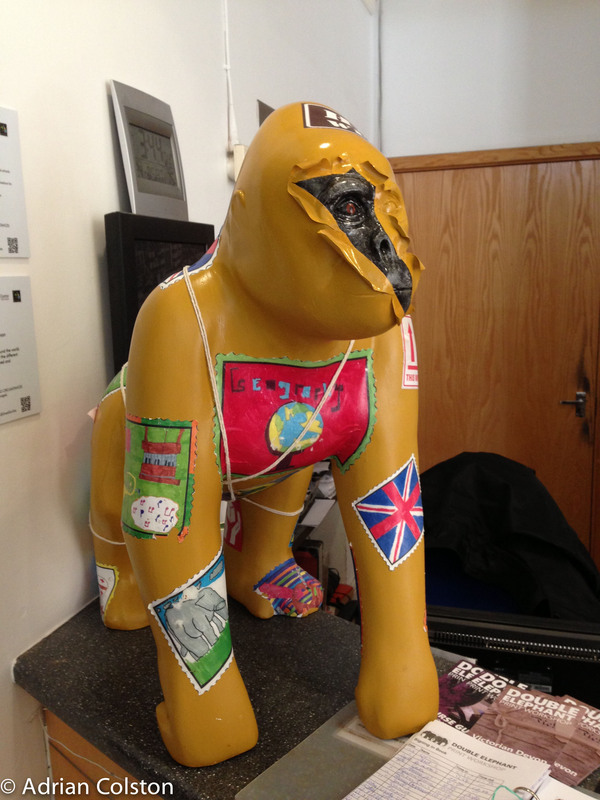 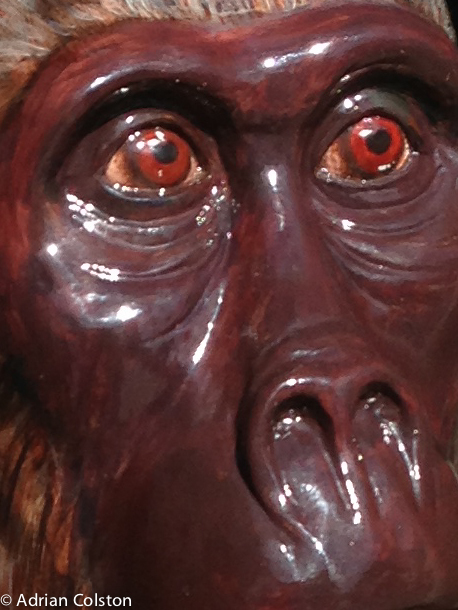 Caroline and I spent part of the Bank Holiday weekend tracking down the 16 Exeter Gorillas! 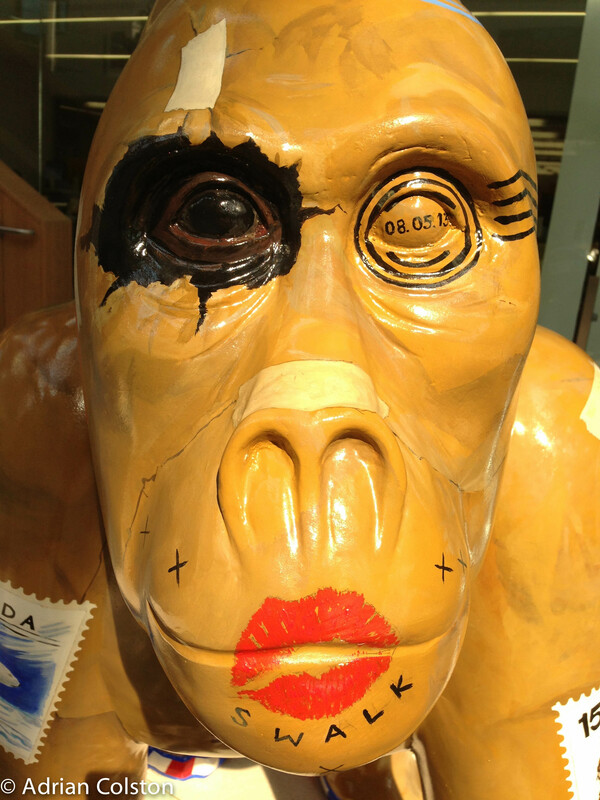 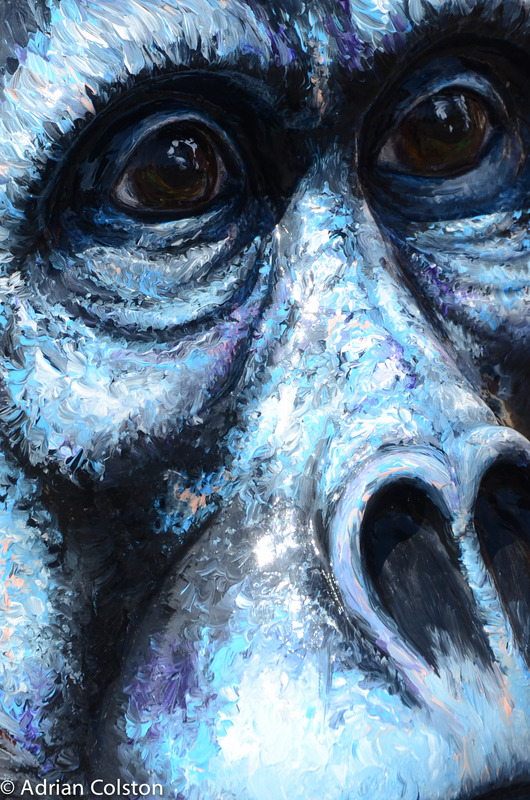 It is a street art project called the Great Gorillas Trail Map. 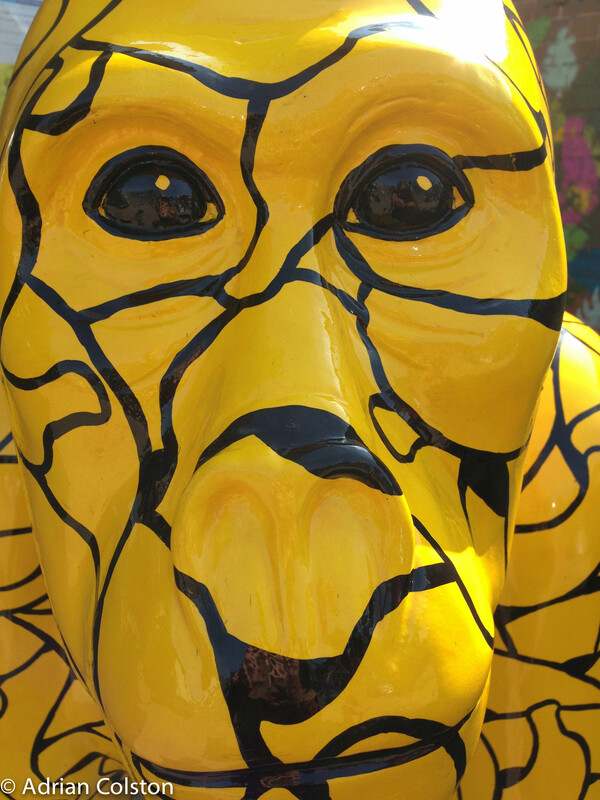 There are 16 life-size and baby gorillas strategically placed around Exeter to highlight the plight of gorillas in the wild and the work of Paignton Zoo. 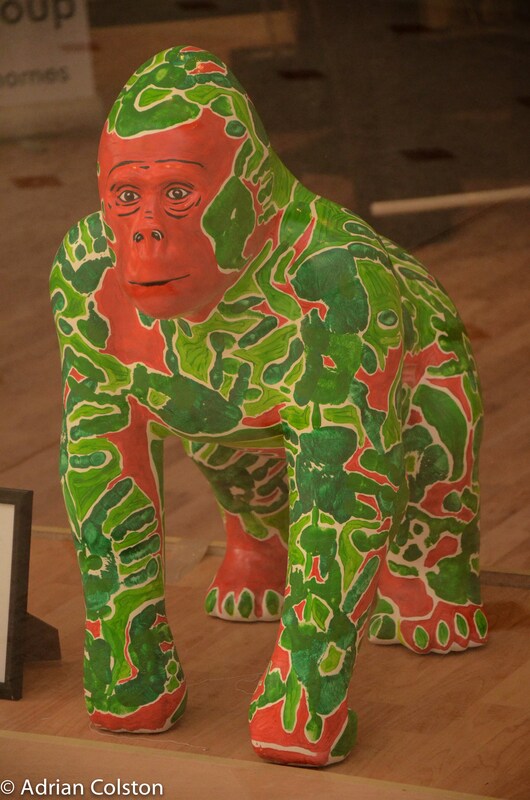 It is an art based project as all of the ‘gorillas’ has been painted either by the SW’s leading artists or local schools. 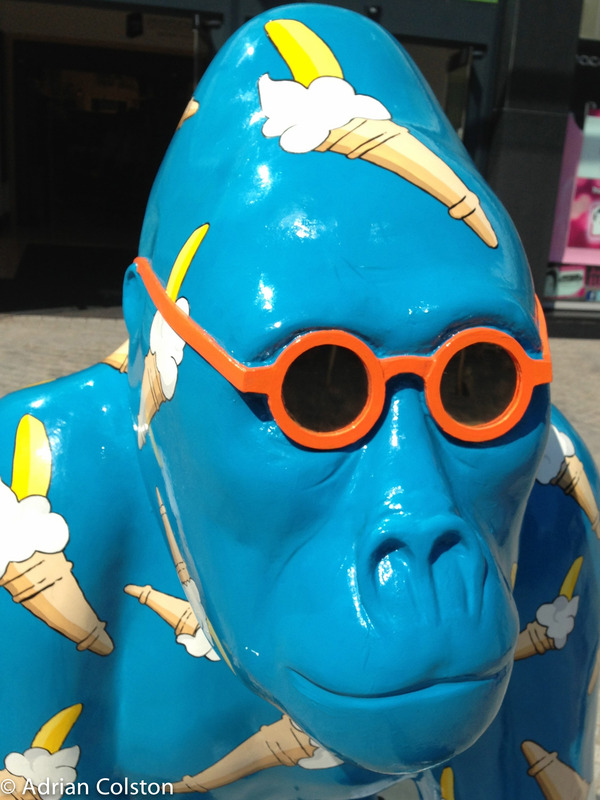 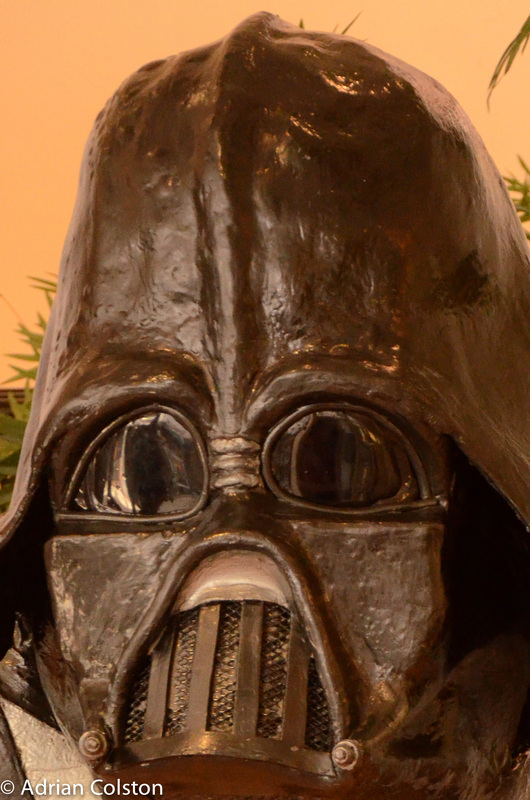 The project is also raising funds for the Children’s Hospice South West. 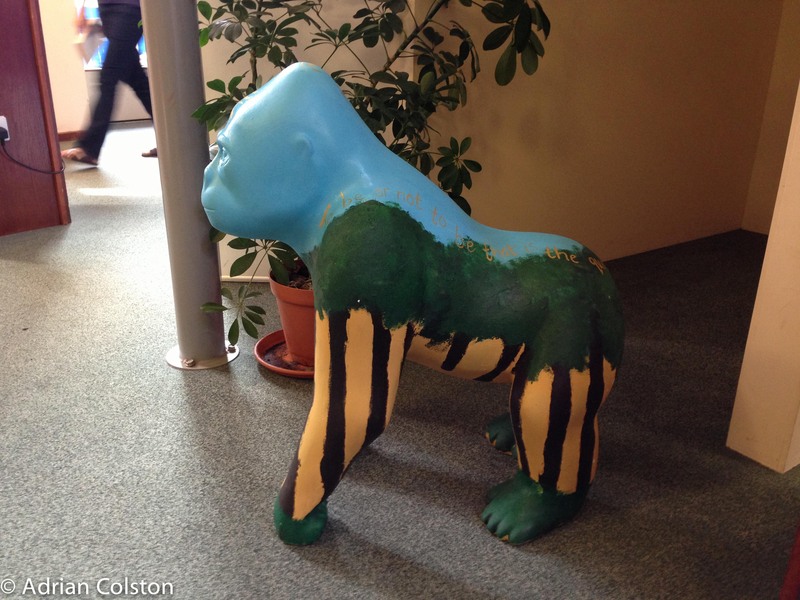 It was great fun tracking down all the gorillas – got us out and about around Exeter and we say some great art work and met lots and lots of families, children and adults all doing the same thing. 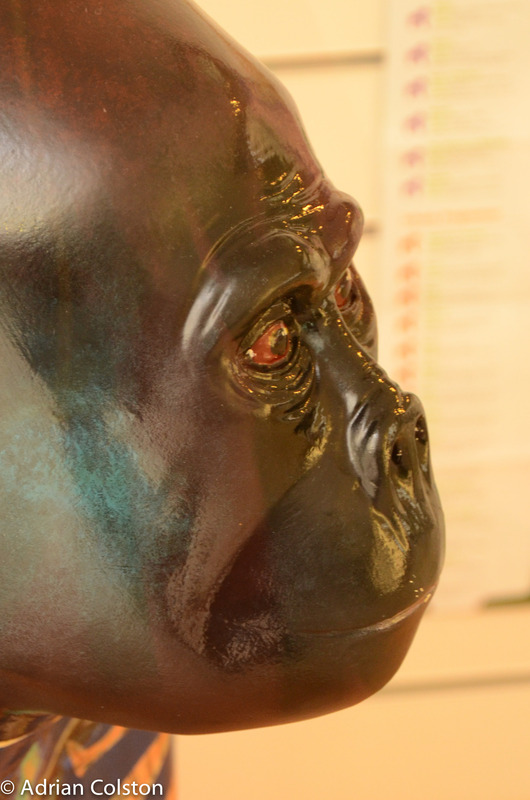 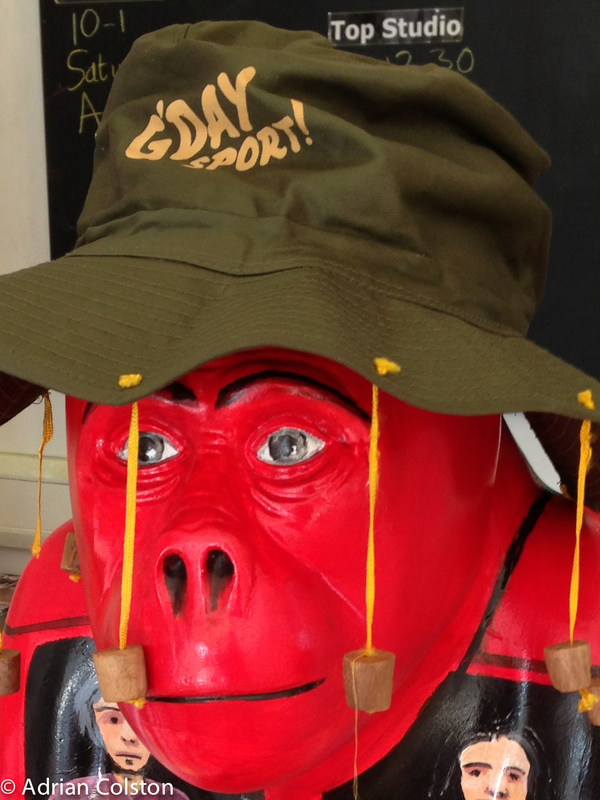 There are also additional and different gorillas strategically place around Torbay – maybe our project next weekend! 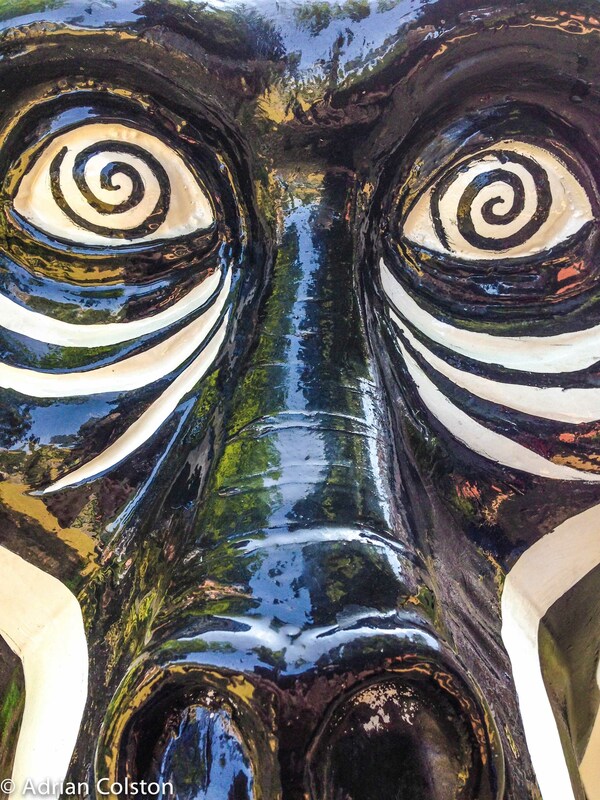 As a budding photographer it was great fun – even though by beloved Nikon D7000 ‘blew up’ and as a result the majority of these pictures were taken on my iPhone 5. 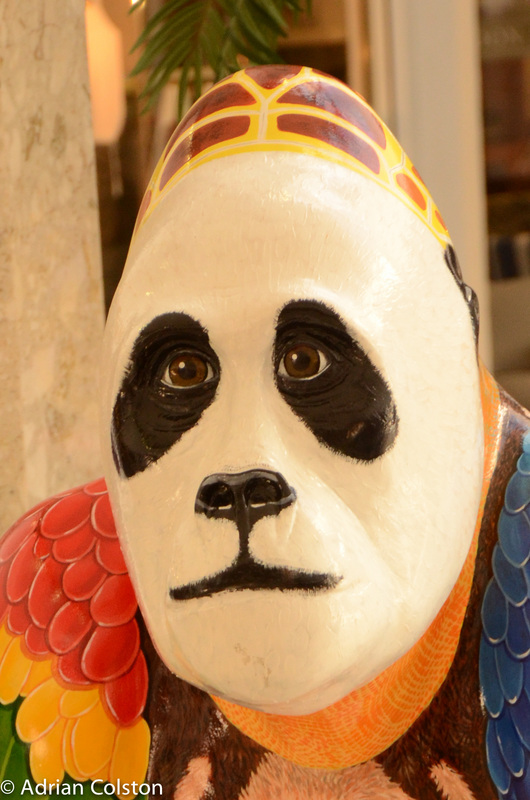 The complete photoset can be seen here. 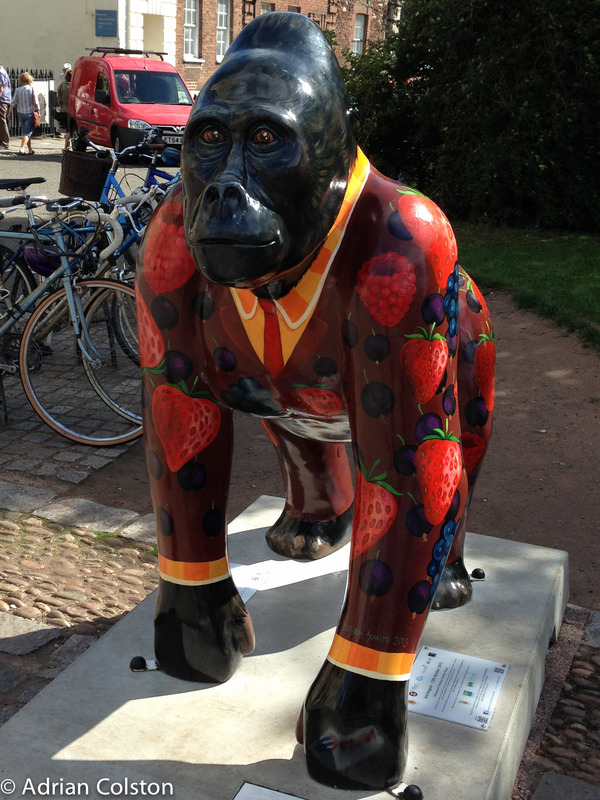 But here is a photo of each of the 16 gorillas in Exeter. 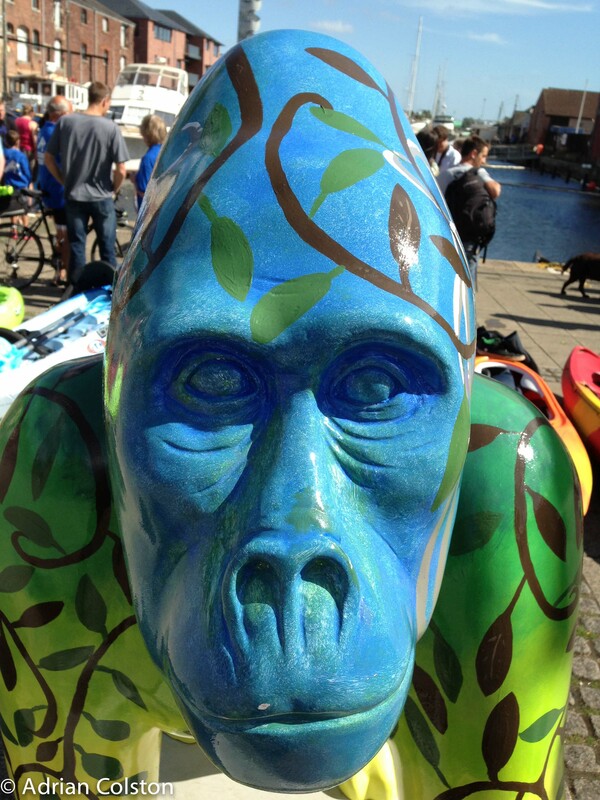 I can really recommend this trail – it is great fun for adults, families and kids – it also makes us think about one of our closest relatives and the plight they face – look into their eyes and who do you see?